What do you need to become an Uber driver-partner in Dubai? There are lots of reasons that people sign up to become one of our Uber driver-partners. If you like setting your own hours, Uber gives you the freedom to work whenever you want. If you’re a people-person, Uber gives you the chance to meet new people every day. If you want to make a little extra money on the side, Uber allows you to be your own boss and work as much as you want. 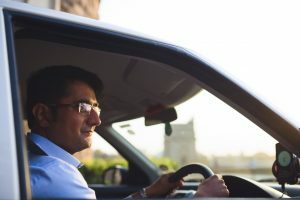 Most people are qualified to drive with Uber in Dubai, but there are a few essential requirements that you’ll have to meet to ensure that our community is safe, certified and continues providing a great service for both riders and drivers. So, what are the requirements for becoming an Uber driver-partner? We’re glad you asked. We have a number of standards that all our partners have to meet, including a minimum age of 21, vehicle requirements and necessary documentation. The latter includes a valid RTA Card, a valid Emirates ID, a RTA vehicle registration (Mulkiya) and a driver profile photo. It’s important that your photo is forward-facing, with your face centered, well-lit and in focus. All vehicles must be four-door sedans or minivans in good condition with no cosmetic damage and no commercial branding. Different Uber services, such as UberXL or UberBLACK, have different vehicle requirements, which you can find out about in our driver resources. If you’re wondering how being an Uber partner-driver works, it’s all about the app. You’ll need to download the app to get started, but it should only take a few minutes. Then, once you’re on, the app can take care of directions, allow riders to find you and even offer you advice to help maximize your profits! Signing up is made to be quick and easy, and the form should take around four minutes to complete. You’ll just need to fill in some essentials, such as your name, contact information, and city and license details, as well as your vehicle make and number plate. We like to think of Uber as more than just an app—it’s a community. All you need to do is ensure that you meet our minimum requirements for drivers—and that your vehicle meets the minimum requirements, too. In fact, even if your car isn’t ready to ride right now, you can look at the possibility of driving for a fleet, so there are more options than ever to help everyone get involved. Our number one priority is making sure that everyone who uses Uber stays safe, and we expect all our driver partners to share that commitment. We ask everyone to make sure they follow the code of conduct and, for our part, we’re constantly updating and improving our safety features for both drivers and riders. You can get constant support quickly and easily from within the app. There’s also a Share My Trip option for drivers so you can let your friends and family know where you are, and all your personal details, such as your phone number, remain confidential. With accessible minimum requirements, a quick sign-up and an app to help you the whole way, you’re just a few taps away from becoming part of the Uber community. What are you waiting for? Love is in the air: Take Valentine’s Day to new heights!